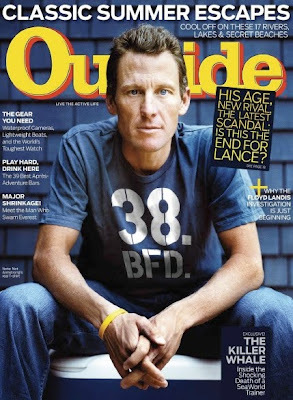 According to Outside Magazine, I am an "up-and-comer with a strong marketing instinct." Those eight words will be in every job application and every cover letter I write for the next 20 years. 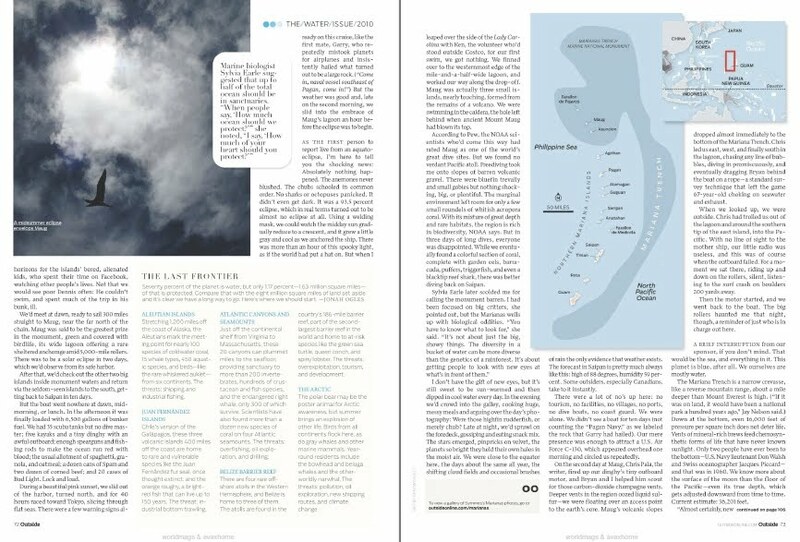 Thank you, Outside Magazine! On Saturday I received my July 2010 issue of Outside Magazine. This is an issue I have been waiting for for almost a year. 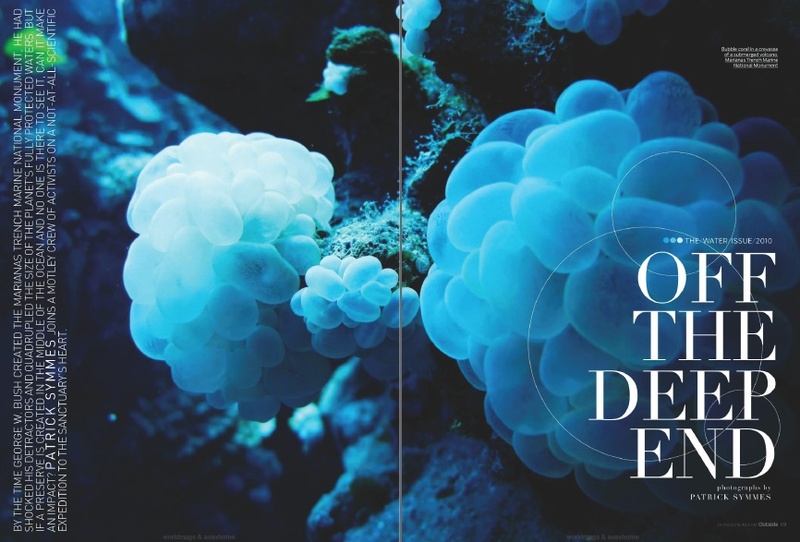 This is the issue that contains the story on last year's expedition to the Mariana Trench Marine National Monument. 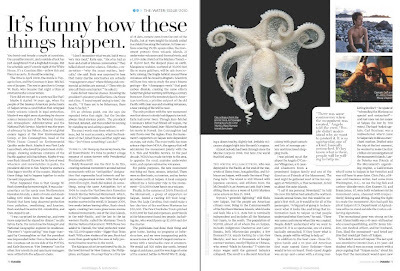 Patrick Symmes, Outside Magazine contributing editor and the writer of this article, did a fantastic job. I thought the story was going to focus mostly on the trip we took to the monument, but he took it to the next level and interviewed Sylvia Earle and officials from the US Fish & Wildlife Service. What could have simply been a story about going to a far off place turned into a great retelling of some of the best conservation that has taken place during the last decade. The story starts before the creation of the monument in the Northwestern Hawaiian Islands and carries us through the creation of Papahanaumokuakea and the creation of Mariana Trench Marine National Monument. I have to say, it literally hurts when the story of the monument campaign, something that took so much effort and caused so much stress, is cut down to a few paragraphs, or as in the case of MSNBC, a single sentence. One day I'll be able to let go of that; perhaps after my book is published. The Outside Magazine website says that the magazine will be available on newsstands June 29, but I was able to find it online. I'd love to hear your reactions to the story, so please feel free to leave comments.